As the President & CEO of RapidBio Systems, Inc.™, John W. Erickson, Jr. is responsible for all activities including product finalization, corporate development and commercialization of a new rapid food-borne pathogen detection system. John’s previous experience is in senior management with experience at Johnson and Johnson (LifeScan), Abbott Laboratories, ITC Nexus DX, and Bio-Rad Laboratories. John has an extensive senior management background in global commercial management, strategy development and deployment, product development, M&A and turn-around management. John has an extensive background in global commercial management, strategy development and deployment, product development, M&A, and turn-around management. He has more than two decades of experience in profitably growing businesses in global Healthcare, Life Science and Biotechnology markets with major Fortune 100 companies and venture capital backed start-ups. His action oriented, successful global business growth experience draws on a brand-focused, customer and market-needs strategic approach. Prior to RapidBio Systems™, John served as the Chief Commercial Officer at ITC Nexus Dx, a venture capital backed company financed by Warburg Pincus; Kleiner, Perkins, Caufield & Byers and Bay City Capital focusing on POC Diagnostics consolidation. John led the global commercial analysis, due diligence and integration of the ITC acquisition. 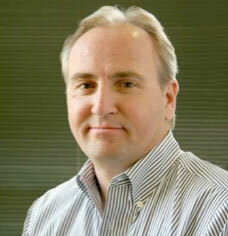 At Abbott Diabetes Care, John was the Vice President of Global Strategic Marketing. He led the development and global deployment of the “no calibration” system portfolio, integrated the TheraSense and MediSense portfolio’s, developed new Hospital based systems including software solutions and all global go-to-market strategies for the $1.3B franchise. John holds a Master of Science Degree in Management, Bachelor of Science degrees in both Chemistry and Biology, as well as graduate studies in Biochemistry, Toxicology and Endocrinology. He has served on the Board of Directors for several healthcare industry councils and non-profit organizations.